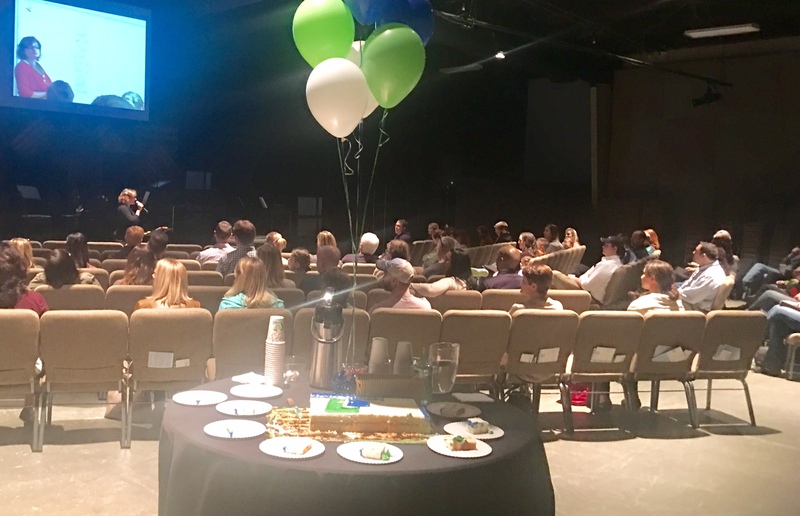 The Lake Pointe family celebrated all that God has done and is doing during our annual all family meeting! 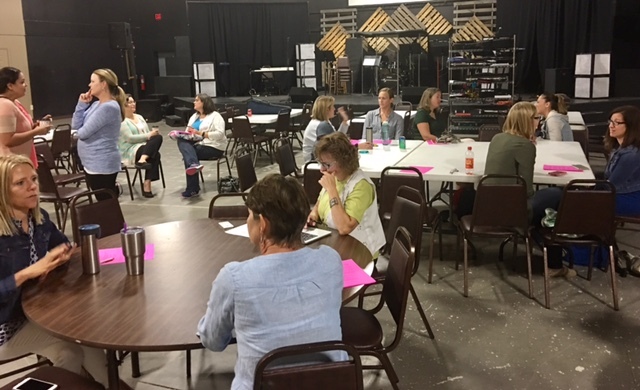 The board and executive team utilized this time to share exciting visions and plans for the next three school years--through the 2020-2021 school year. Among many other happenings, Lake Pointe is looking to continue making refinements in curriculum and improvements in policies, as well as celebrating a couple big anniversaries. 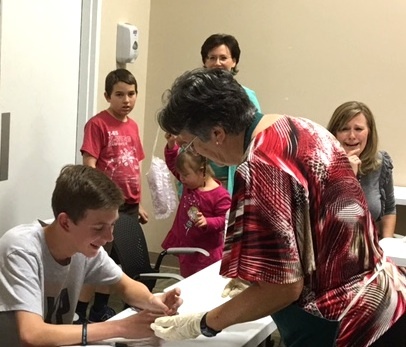 At the end of the meeting, protected registration for current LPA families was open. We are excited to see how God continues to work in and through Lake Pointe in the upcoming year! The year focus verse is to "walk in a manner worthy of the Lord," from Colossians 1, Ephesians 4 and Philippians 1. The development of continuous improvement groups. Approval of academy's readiness package in the SACS / AdvancED accreditation process. The three academic grade level supervisors related their divisions' emphases for the coming year. Refinement of academic relationship and duty-sharing between campus and home. Positive experience and results in the current year with further refinement of Creation Day organization in science, and review of middle school science materials. Refined Latin progression and improved junior high success skills studies. Introduction of AP Calculus and other pursuits for grades 11-12. Student Life -- plans include continued summer events and deepening expansion into elementary grades. Athletics and Arts -- Continued development will include expansion of arts opportunties. Blessed Hope’s name has changed, but there is still very much blessing and a lot of hope! Those who have attended LPA’s volleyball and basketball games in the past three years know that we have rented facilities from Blessed Hope Christian Academy in western York, as that academy underwent a period of transition. The sign changed recently to reflect “Liberty Baptist Church,” prompting obvious questions. 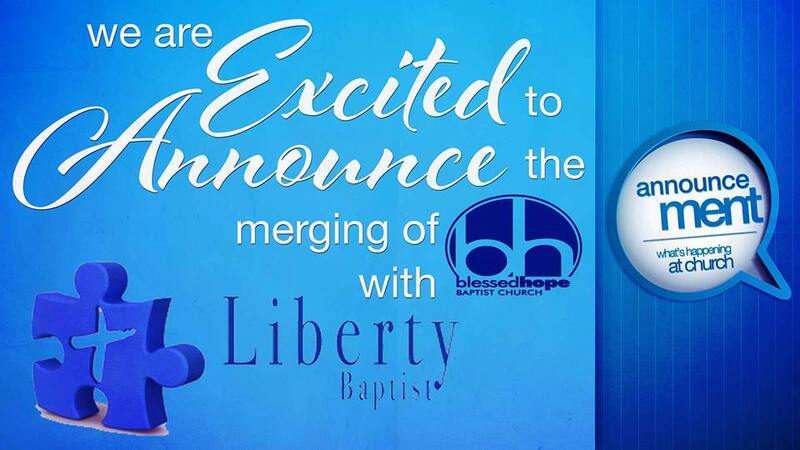 York's Liberty Baptist Church and Blessed Hope are merging, using the Liberty name at the Blessed Hope campus. We celebrate with our brothers and sisters as they combine in strength in a common vision. 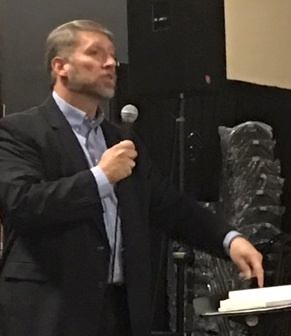 The churches held a “merge service” in late January, drawing over 500 people, according to the Blessed Hope Facebook page. The merger does not affect LPA’s basketball game plans, including upcoming play-off contests. 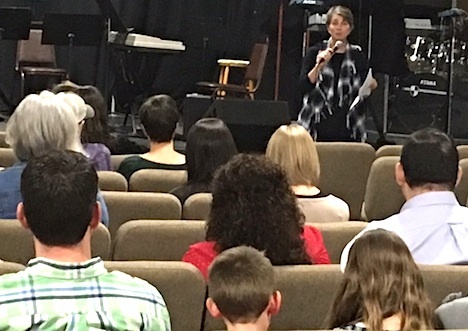 Lake Pointe has enjoyed both generosity and graciousness from Blessed Hope, and we celebrate the new church’s excitement and opportunities to serve the Lord as Liberty.